Looking for something different for dinner tonight? 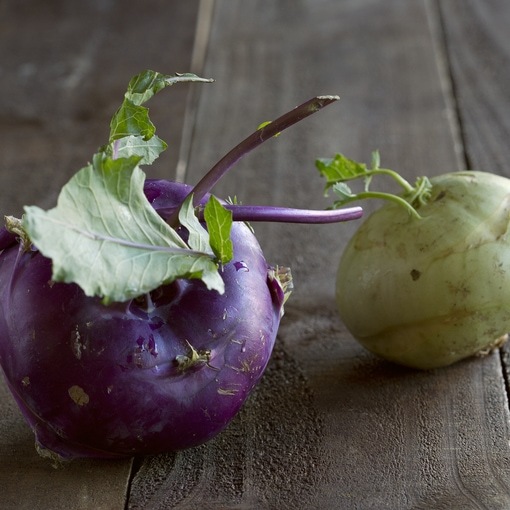 For a versatile veggie, try adding Kohlrabi to your stir fry, roast dinner, salad or eat raw with your favourite dip. Similar tasting to a broccoli stem, just a touch sweeter. To prepare, remove the leaves and long stems (although the whole plant is edible if you like), peel the remaining bulb and give it a good wash. Chop the bulb in half and then in half again, remove the core from the middle as this is usually tough. From here it’s up to you what you would like to do to prepare, it can be easily sliced onto slices or matchsticks, or can be grated to make into fritters.